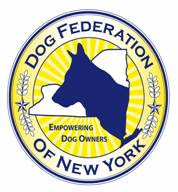 Dog Federation of New York: Will the Animal Rescue Community Step Up? You are confusing CAARA and No Kill's shelter reform with the responsibility of a rescue to step up and do YOUR job. If the shelter kills this dog because all "resources" and "time" is up, they are NOT No Kill as laid out in the Eleven Step Equation written by Nathan Winograd and the No Kill Advocacy Center. I, for one, have not seen any posting for this dog on Facebook, or I would have shared and networked to get him assistance. How many trainers and behaviorists have been contacted? I, too, am upstate and rural, but still we seem to find help for dogs like this. My page on FB can be accessed thru the link below, please use it to try to help this dog. How many rescues have you contacted? We can help you, but putting out a plea at the eleventh hour is not giving us much time. Let's get the ball rolling and talk your director into giving this poor guy more time since you have folks working on it. Thank you. on your own Facebook page. As to your other comments, the shelter director worked with Nathan Winograd the whole time he was in Tompkins. I'm pretty sure she knows how to run a no-kill shelter. This is exactly the kind of dog CAARA is supposed to help - a dog that is not currently adoptable because of fixable behavioral issues that cannot be adequately addressed in a shelter situation. I do not think there is anything in Nathan's No-Kill Equation that includes requiring shelter staff to work in an unsafe manner with an animal they do not have the skills to handle. Don't tell me we're not doing our job. The rescues the shelter normally works with do not deal with any other than minor behavioral issues. The normal fosters do not have the expertise needed for this dog. I have few if any links to the rescue community other than those the shelter has cultivated and I have to say the response from the rescue community, except for a couple of notable exceptions, has been underwhelming. Since my name is highlighted, if you hover over it or click it, my FB URL to my page is present. If your FB page is not public, this is probably why it did not network him for others to post. Can you share him on my page? That would make it easier than for me to create a post with pictures, but I will do it if you cannot. I will share his plight, but he has to be given more time for something good to happen. Passing CAARA doesn't help this dog; it's the people within that reach out and make all network contacts that do. CAARA would guarantee that a valid rescue can pull a dog from a shelter, and cannot be denied by its director or staff. And it guarantees that a dog gets nourishment, exercise, socialization and medical care while in a shelter's care. It protects whistle blowers against repercussions. Shelter reform, not blame the rescue community for not being able to accommodate you at a moment's notice. If this dog is not irremediably vicious, killing him is just that, killing a treatable dog and not part of the criteria for No Kill. You are also closed two days of the week, one of which is Sunday - a family day. Again, your director should be aware that this day is when folks can get to your place if he worked with Tompkins County and Nathan. I never said to put your staff in danger; I asked how many trainers and behaviorists you've contacted to help the dog. That is not just a rescue foster's job. He can be worked with at your shelter. Although they've just recently lost Pat Whitacre, have you contacted Kerri Clair at Pets Alive in Middletown; Eric Bellows of Pack Ethic in Sprakers; Jeannie Oakley of Paw if Forward Canine Stability Center in Rotterdam? These people go way beyond impulse control and obedience training. They develop the relationship with the dog that pretty much cures those types of issues. Did you know that Yonkers Animal Shelter has dogs for years that they keep from flipping out until they find a home? I am more than happy to share their guys on FB because they go that really extra mile! Last but not least, I have to mention that it really stinks that this is posted on DFNY, and put in the “Rescue Community’s” lap to step up to the plate. There is an obvious division between the breeders that post here, seen in many past posts of which I’ve been a part, and the small rescue/foster groups with which I am familiar. Did anyone from this group offer any assistance? Why was this posted here? Feel free to help with this situation all you breeders out there who “also do rescue,” and let’s all work together toward a solution instead of having an agenda. Susan - Duke, who seems to be nothing more than a large, exuberant puppy, has been put out there to be noticed and saved. He has been shared on Facebook and what appears to be thru e-mails. I have even offered my services to work with him, free of charge, to anyone that fosters or adopts him that would like some help with training - if they are within a reasonable distance from my home. I've also sent you two e-mails, one had questions and still remains unanswered. 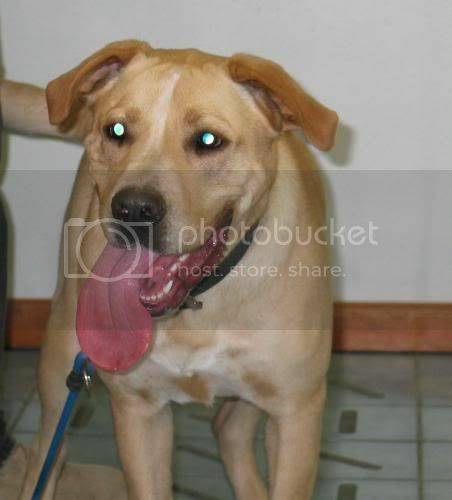 Have there been any inquiries at the shelter about this big boy?